I wish I had an EDR vendor send me a dev agent [hint! hint!] to test how much event data I can capture from an endpoint, but for now I love to use Sysmon when it comes down to endpoint visibility. 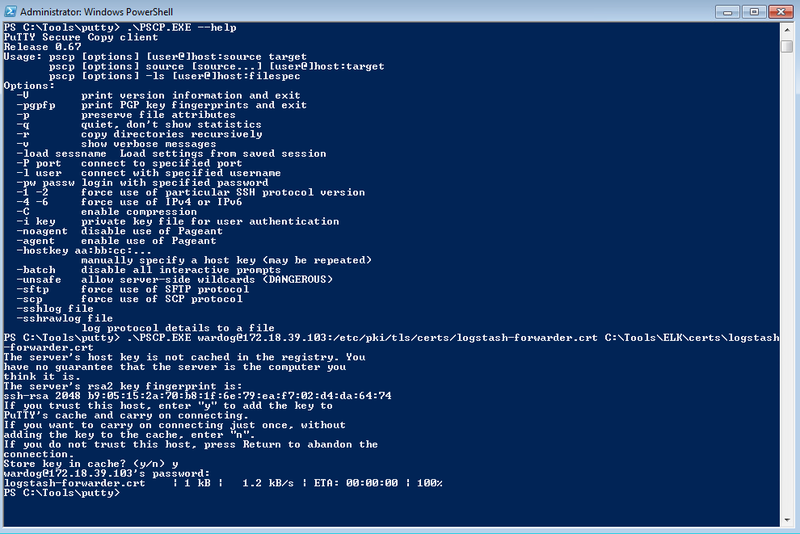 In this post I will show you how to install sysmon and use custom configurations to filter noise and still get the visibility you need to hunt for advanced adversaries. Additionally, as you might already know, we need some type of log forwarder to send logs to our ELK stack. In case you didn't know, Elastic provides several products besides Elasticsearch, Logstash and Kibana, and the one that will help us live stream Windows event logs to our ELK stack is named Winlogbeat. In this post, I will also show you how to set it up and integrate it with our ELK stack configurations. 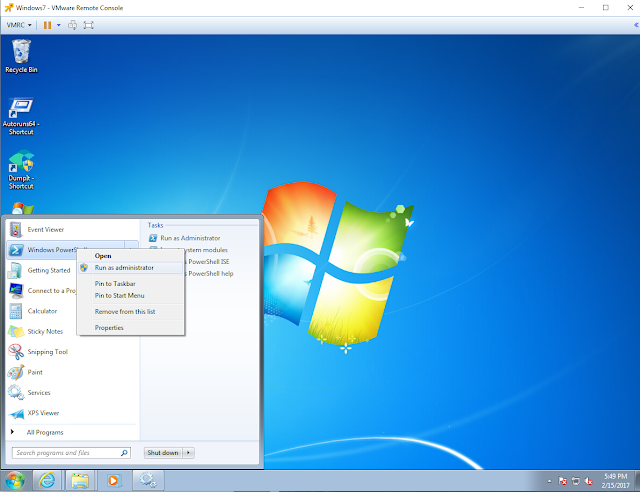 I had already installed Sysmon V5 in my systems, but with a recent update from Mark Russinovich, I needed to update a few images, and content in this post. Figure 1. 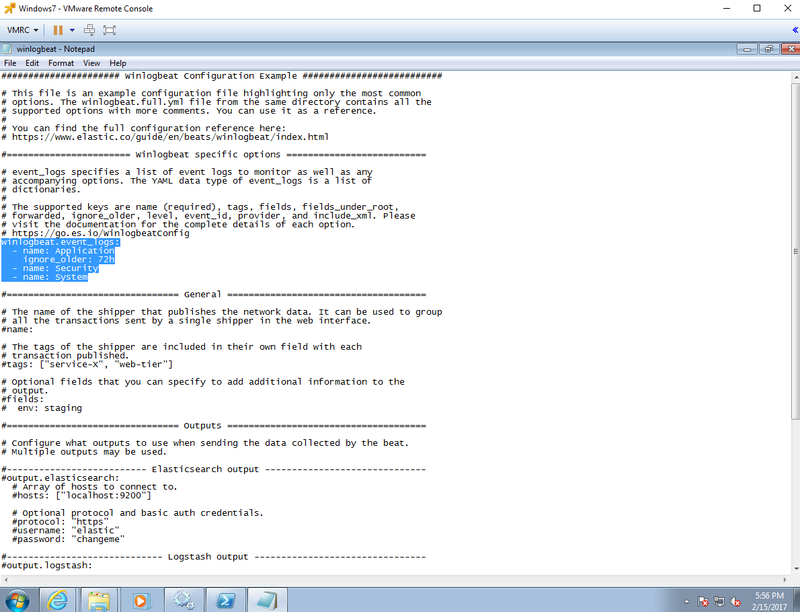 Sysmon V6 FYI release. To get started download Sysmon V6 from here. Figure 2. 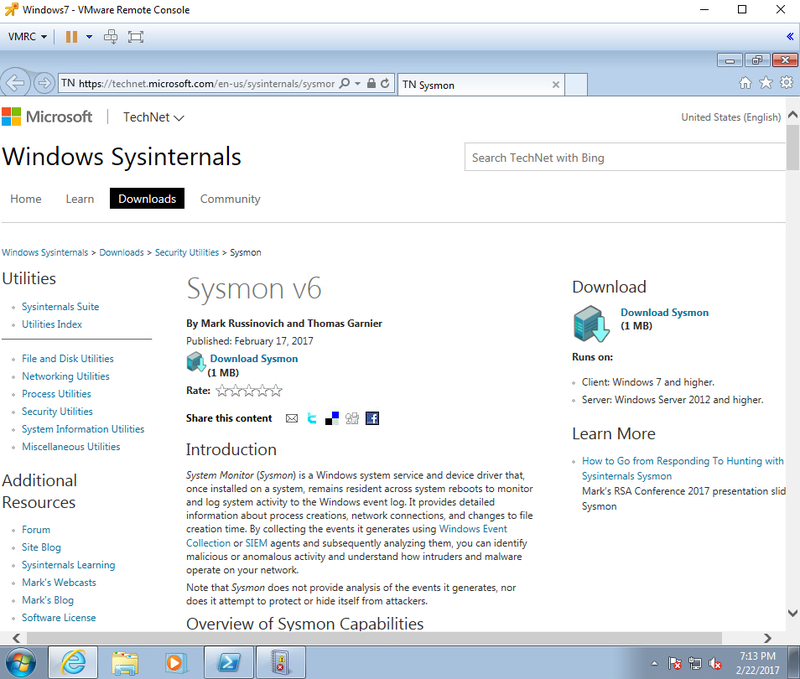 Sysmon V6 Download page. 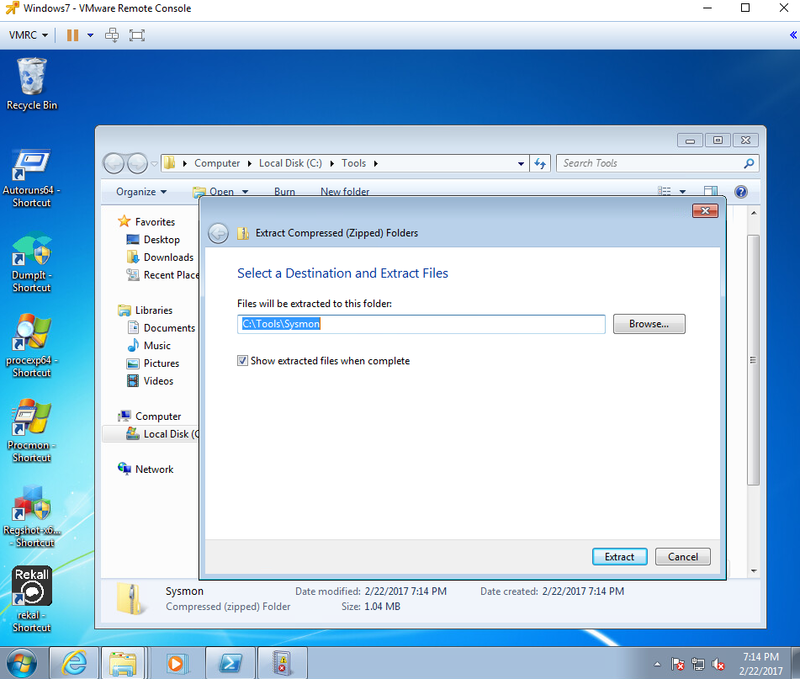 Extract contents of the zipped file to a preferred directory. Figure 3. Extracting files to tools directory. 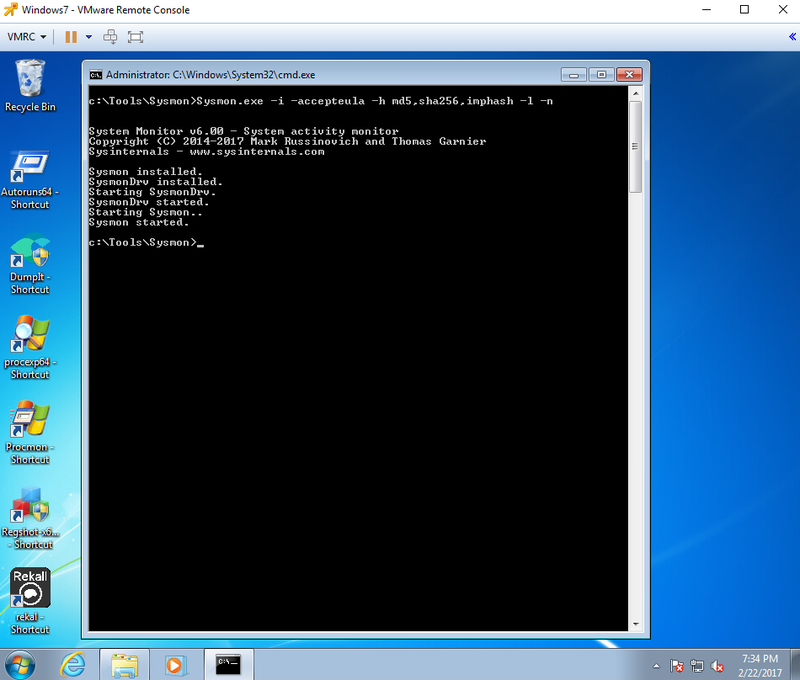 - i : Install Service and driver. 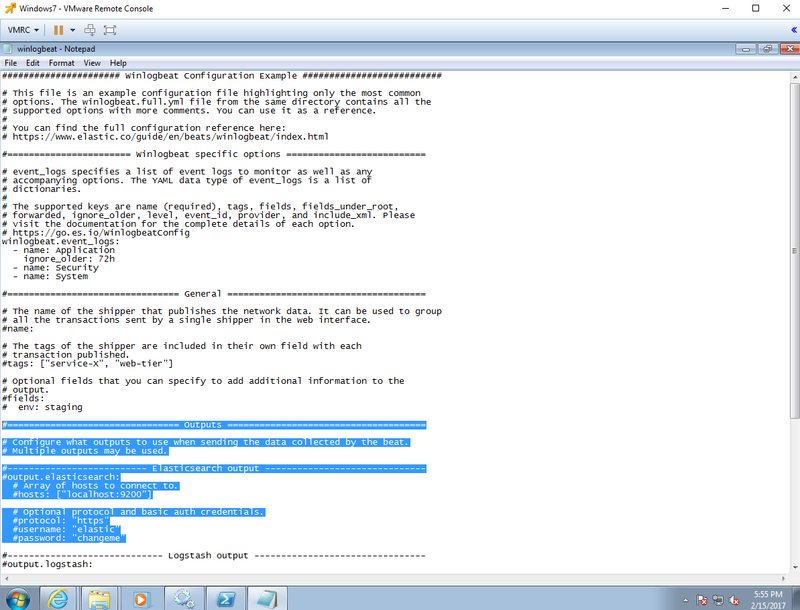 Optionally take a configuration file. 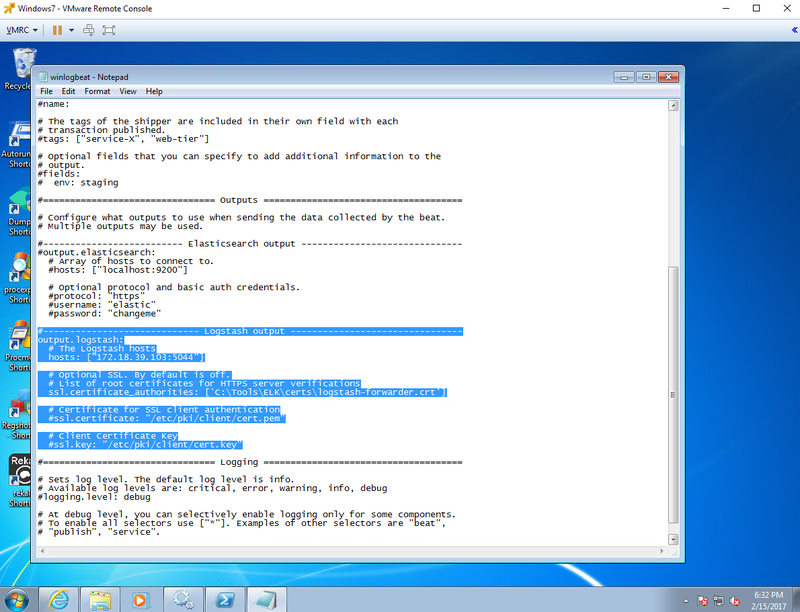 Now, if we run Eventviewer as administrator and browse to Applications and Services Logs > Microsoft > Windows > Sysmon > Operational, you will see that Sysmon is already working and generating logs as shown in figure 6 below. How do we update our current configuration and apply rules to it? 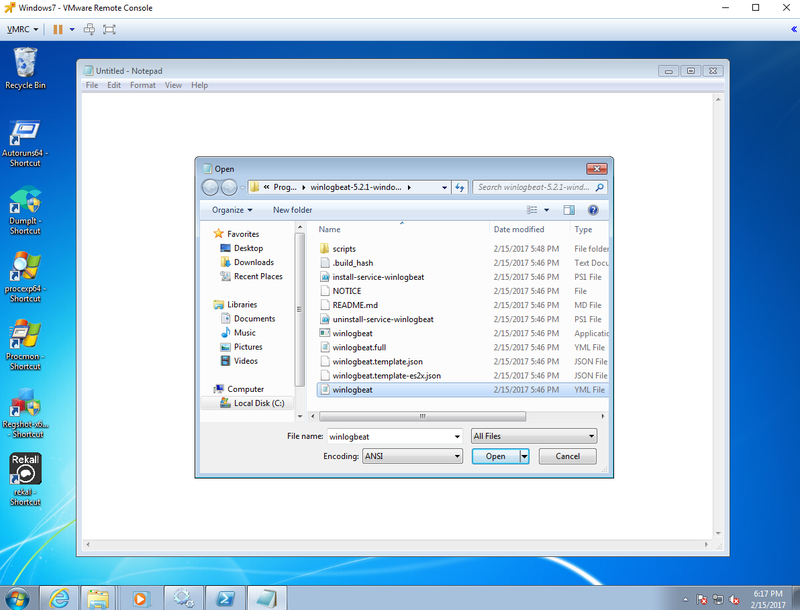 You can use my StartLogging.xml config as a basic first script to start. This script has several Event IDs set to Log everything, and this is because I want you to tune it your way.. I just had a few exclusions already set there specially for Event IDs 1, 3, 6, 7, 10, 11, 12,13,14 to help you a little bit with filtering some initial noise. 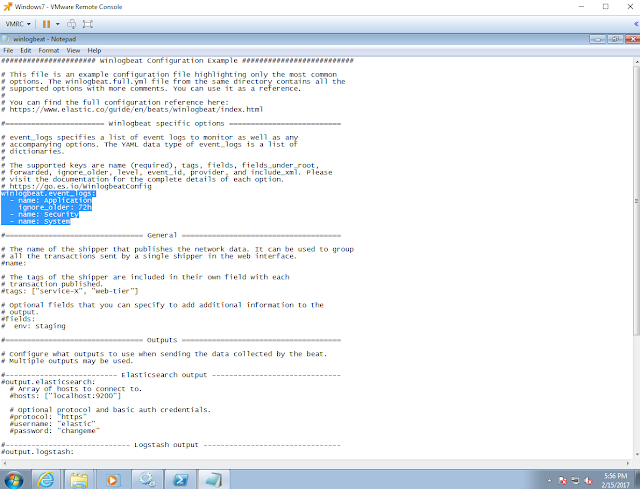 Lets update our current config and apply our StartLogging.xml configuration. Figure 8. Updating current configuration and showing it on console. You will not see many logs being generated, but that will change as soon as you start testing a few things. We have not set up our winlogbeat data shipper, but I will highly recommend to turn winlogbeat services off until you tune your sysmon configuration so that it captures the main anomalies from the attack you are executing. Once you are comfortable with your sysmon config, turn on your winlogbeat service and you will be able to see the events in your Kibana dashboard. 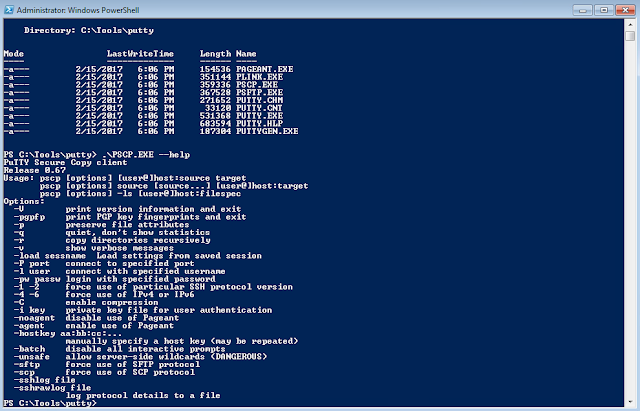 This can be a good time to take a snapshot on your endpoints with Sysmon installed. Stay in the windows computer where you set up Sysmon. To get started, download Winlogbeat from here and copy the unzipped folder to C:\Program Files\ as indicated by the Getting Started Winlogbeat Guide. Figure 9. Winlogbeat Download page. Figure 10. Save the zipped file to your drive. Figure 11. Winlogbeat folder unzipped. Figure 12. Copying winlogbeat folder to indicated location. Figure 13. 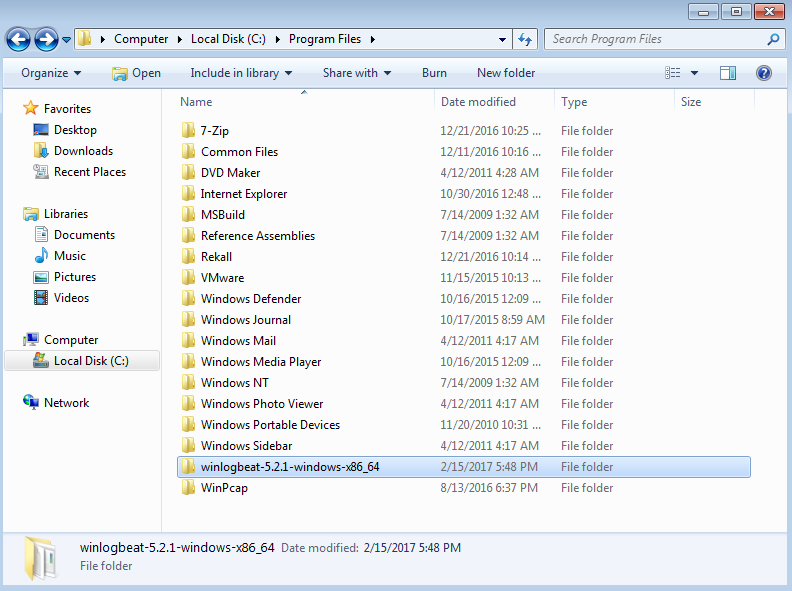 Winlogbeat folder copied to C:\Program Files\ . Open PowerShell as administrator, navigate to the winlogbeat folder contents and run the install-winlogbeat-service.ps1 powershell script. Figure 14. 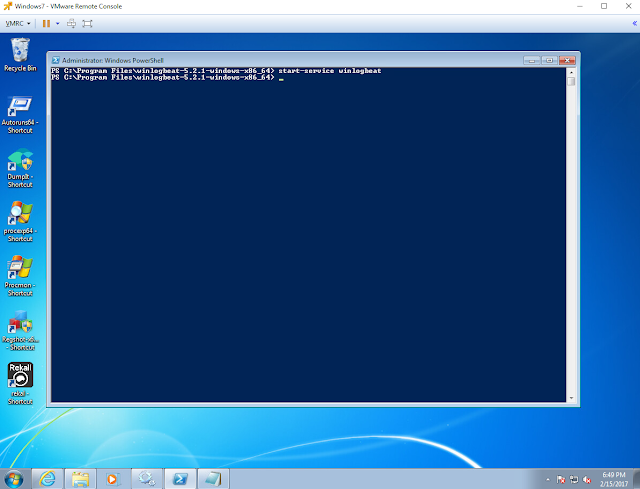 Run PowerShell as administrator. Figure 15. Navigate to your winlogbeats folder. Figure 16. Running install-service-winlogbeat.ps1 script. 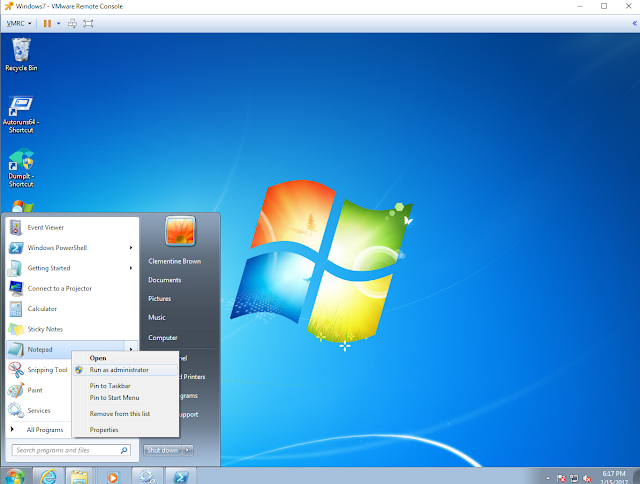 Also, using Run Once option. 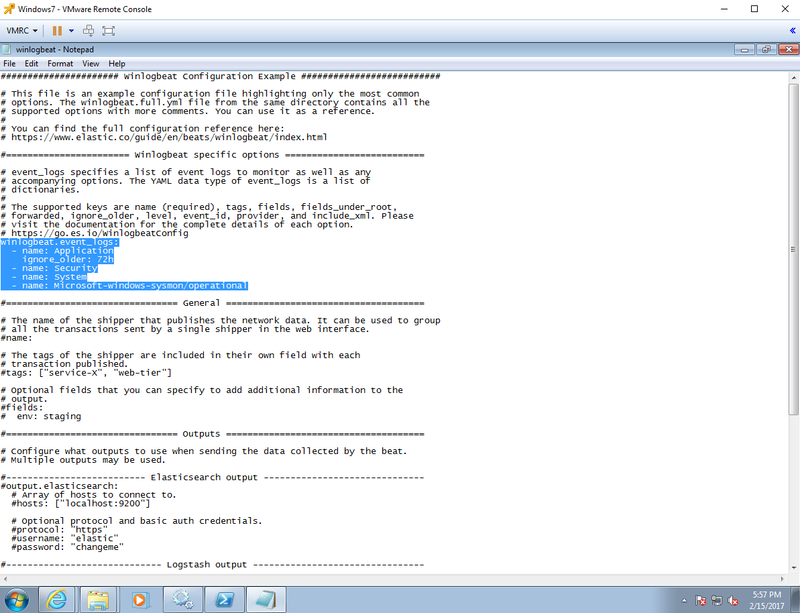 Next, run notepad as administrator. 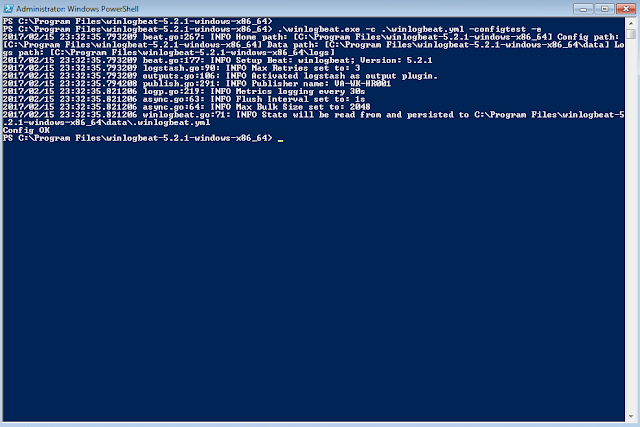 This will allow us to edit the winlogbeat config file and saving it without having "access denied" warning messages. 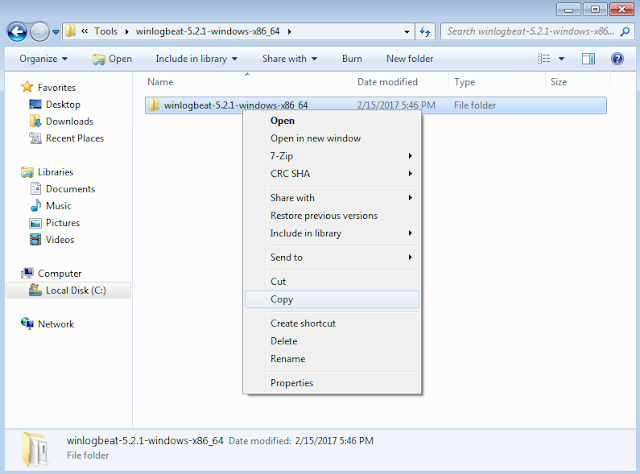 Once notepad is open, open the winlogbeat.yml file in your winlogbeat folder. Figure 17. Opening notepad as administrator. Figure 18. 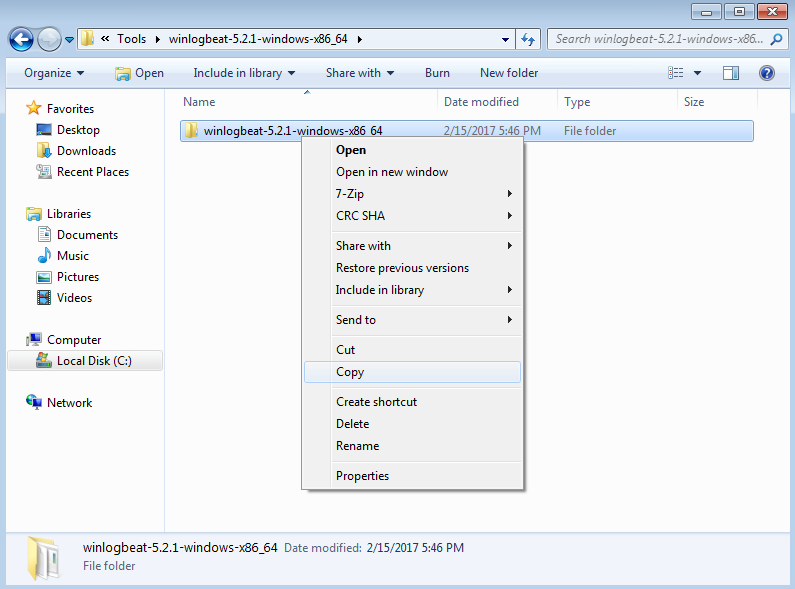 Opening winlogbeat.yml file in notepad. Figure 19. Original first part of the winlogbeat config. Figure 20. 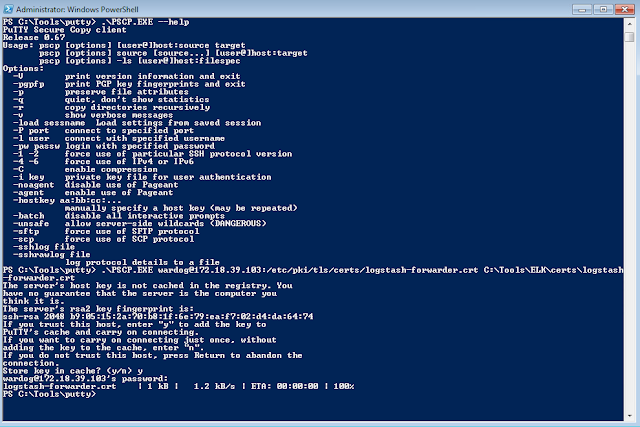 Adding Sysmon Logs to the configuration. Figure 21. 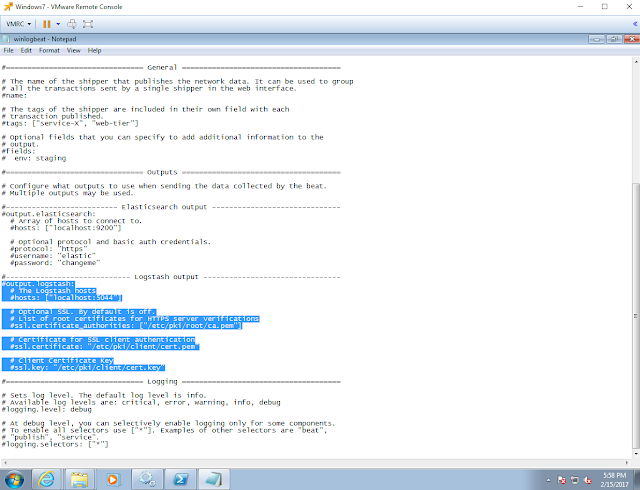 Original Elasticsearch output configuration. Figure 22. Adding # signs to the Elasticsearch output section to disable the output. Now, it is time to configure the Logstash Output of the winlogbeat configuration. 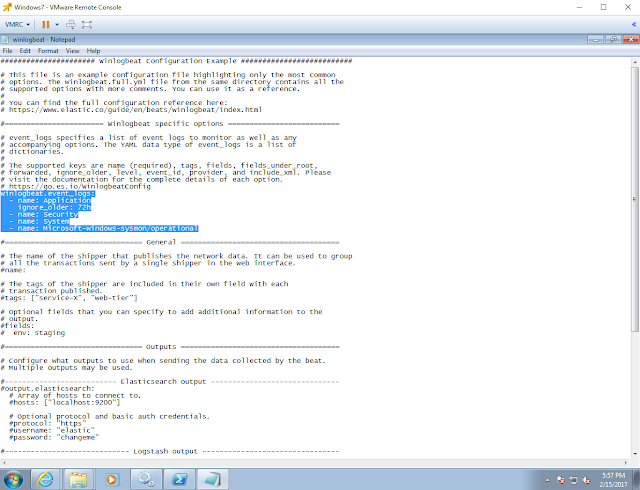 As you can see, we can set up the certificate that we created in our Ubuntu server in our previous post. We are going to make some changes to this part, but first make sure you have your cert created as shown in figure 24 below. If you did not create the certificate and private key in the previous host, I recommend to go back to it and do it before we continue. Figure 23. 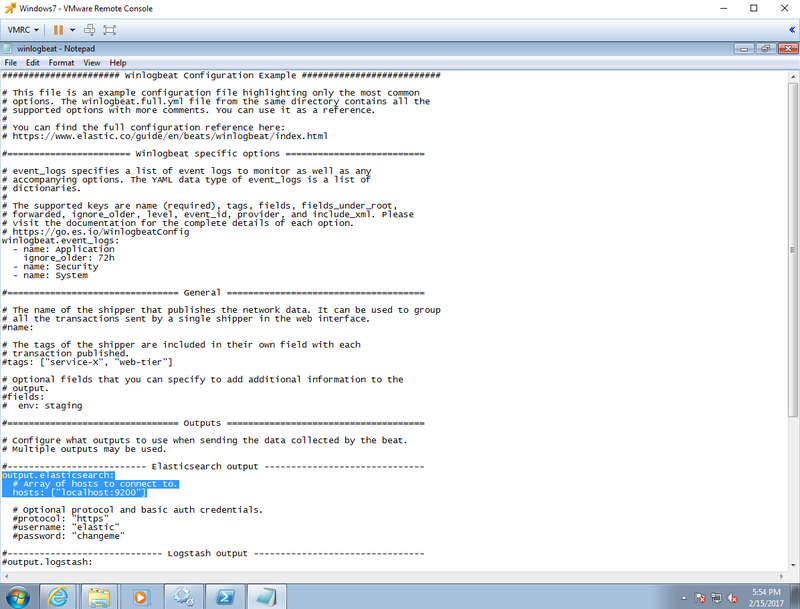 Original Logstash Output section. Figure 24. Making sure cert exists in our ELK server. Use PSCP.exe to retrieve the certificate from the ELK server. Make sure SSH services are running in your ELK server before doing this. You can download PSCP.exe as part of a Putty bundle from here. Figure 25. 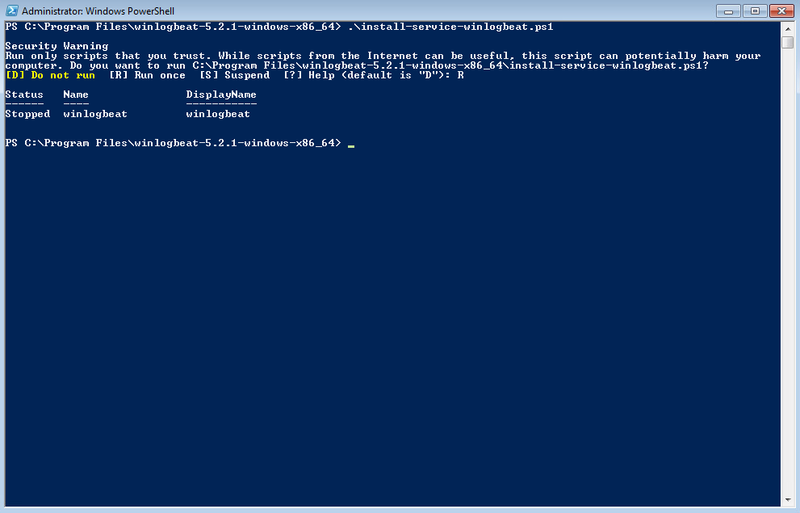 PSCP.exe to retrieve certificate from ELK server via SSH. Figure 26. 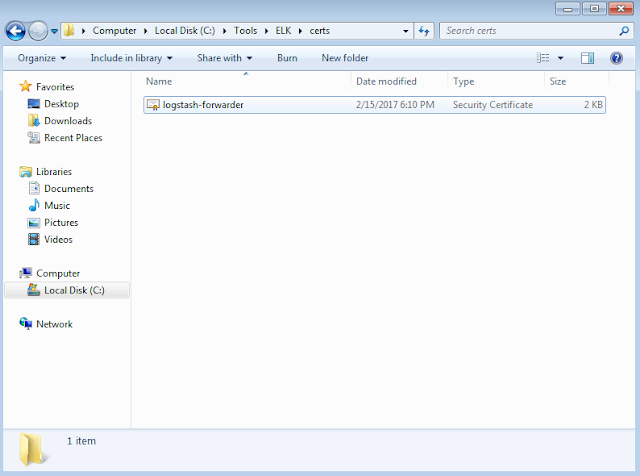 Copying certificate from ELK to your Windows computer. Figure 27. Certificate was copied successfully. Figure 28. 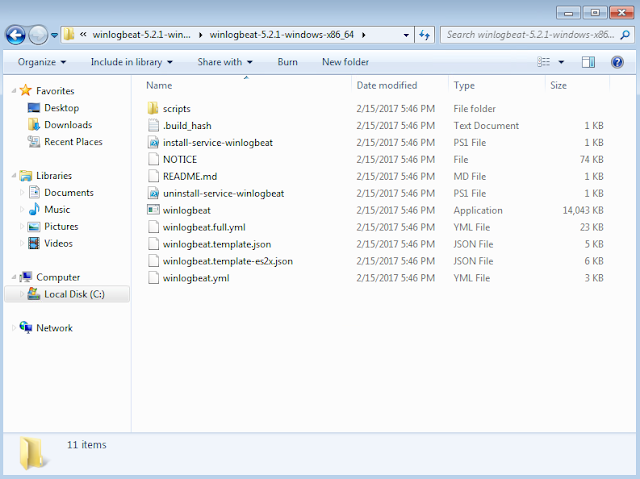 Logstash configured to be the default output. Figure 30. 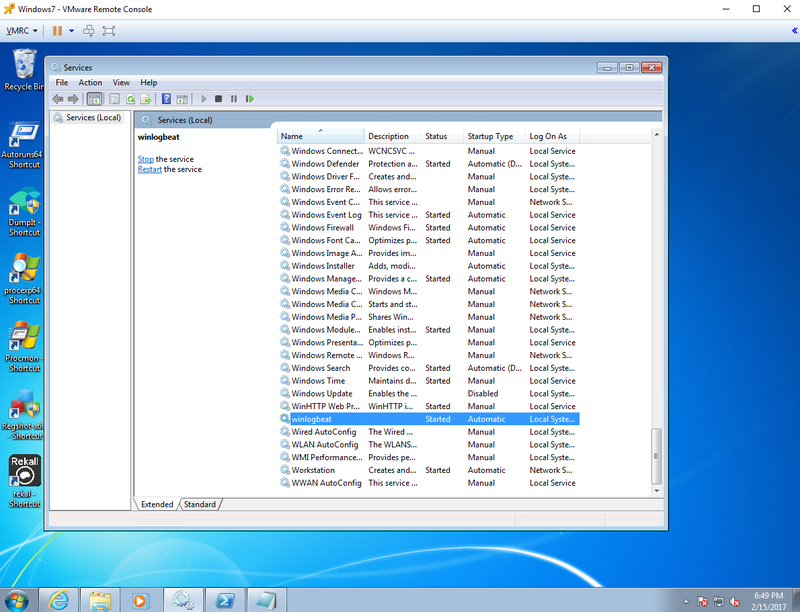 Starting the winlogbeat service. Figure 31. 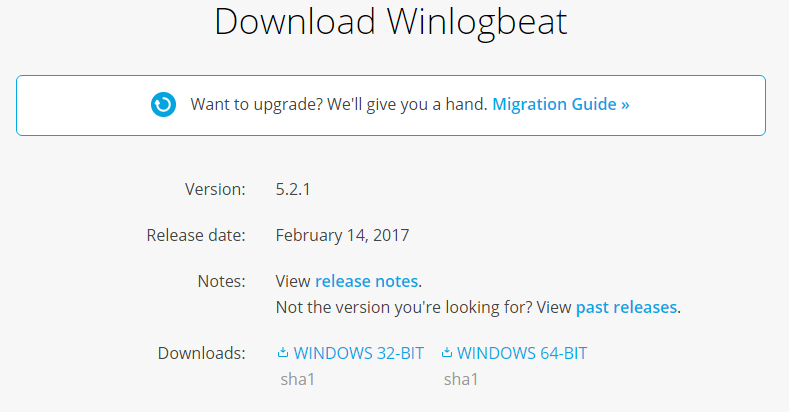 Starting the winlogbeat service. Figure 32. The winlogbeat service started successfully. .
Next, open your favorite browser and go to your ELK's IP address. You will be able to substitute logstatsh-* for winlogbeat-* and set the field name to Timestamp as shown in figure 33 below. Click on the create option at the bottom to continue. Figure 33. Index Pattern configuration. Figure 34. Index Pattern configuration. 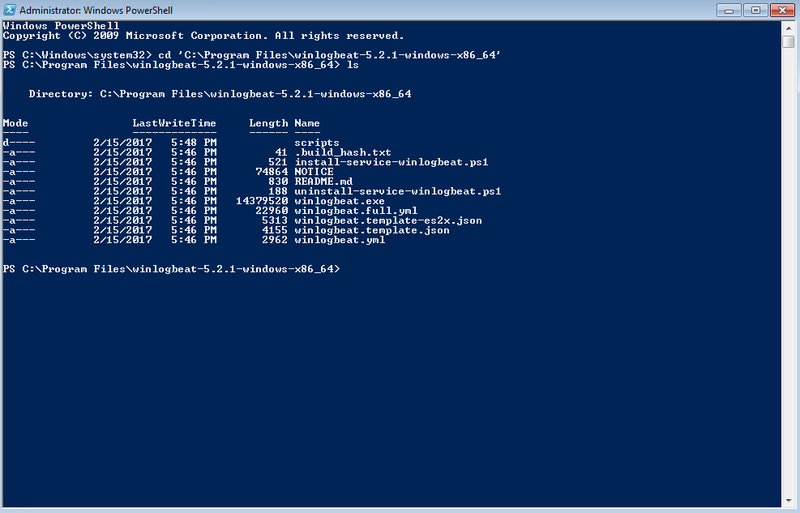 You will be prompt to see how your winlogbeat-* index is storing the logs hitting your ELK. Next, on the left panel options, click on Discover to look at your logs. Figure 36. Searching for logs. Figure 37. Logs made it to our ELK stack. 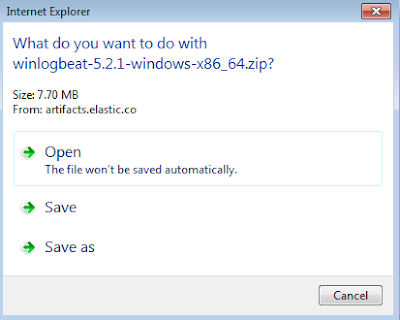 Below your Winlogbeat-* index, you can actually hover the data fields and click on the option add. 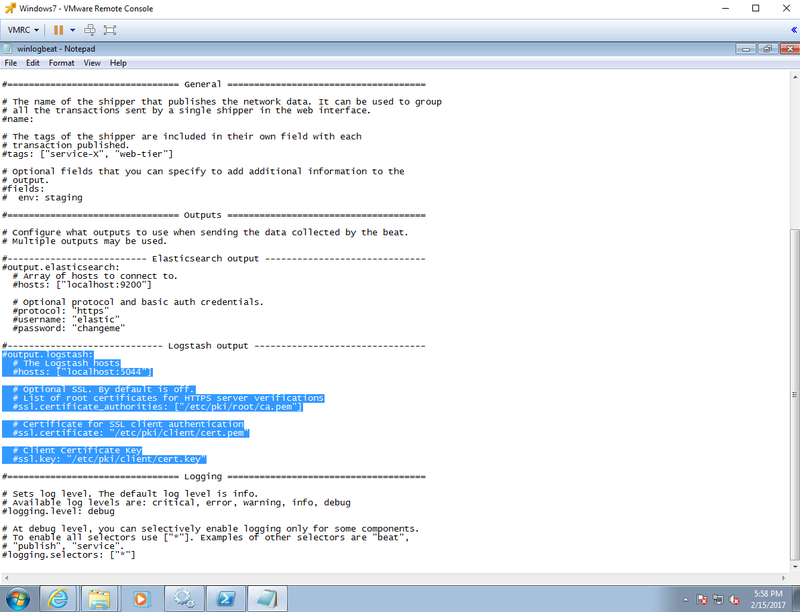 You will be able to add as many fields as you want making it easier to read the logs. Figure 38. Adding fields to our discover view. WOW! We made it! We have officially finished setting up our basic threat hunting lab. Remember, this is just the beginning. There are so many things that you can add to this lab setup, but I will leave that to your imagination and your own research. HOW DO I USE ALL THIS TO START TRAINING MY HUNTING SKILLS? Figure 39. 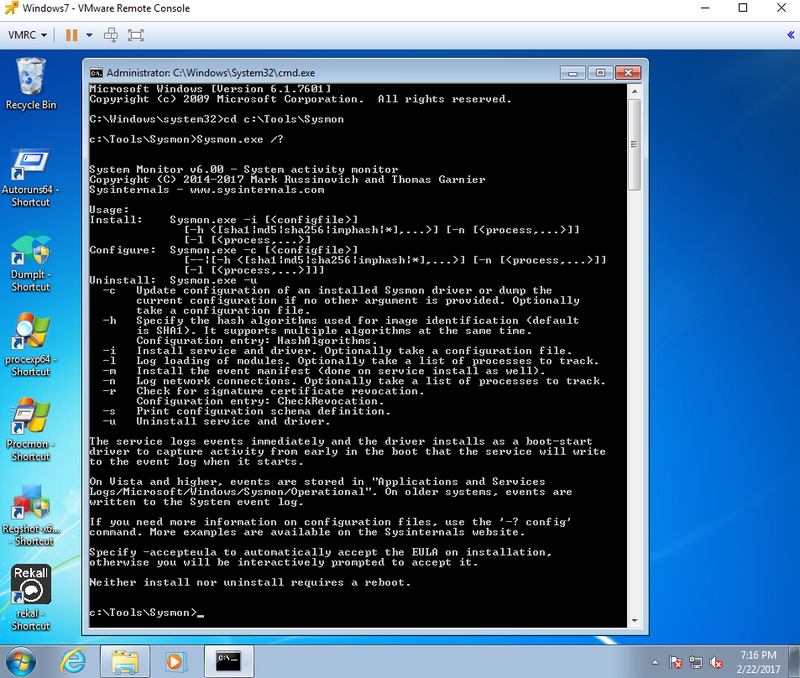 Net.exe interrogating our AD for Domain Admin users. (event_data.ObjectType:"SAM_GROUP" AND event_data:ProcessName:"C:\\Windows\\System32\\lsass.exe") OR event_data.CommandLine:"Domain Admins"
Figure 40. Hunting for the HUNTER :) .